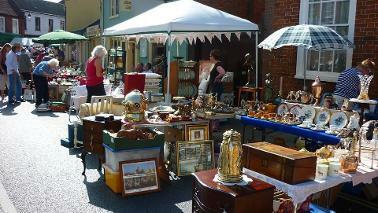 This year's Bungay Antiques Street Fair will be held on Sunday 21st July in Earsham Street between 9:00 - 4:00. In its 23rd year the fair is one of the biggest and best annual antiques fairs in the area. Attracting dealers from across East Anglia, the event is very popular with visitors. Admission is free and it is disabled, child and dog friendly. 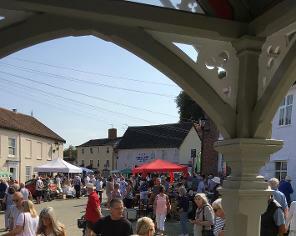 The Halesworth Antiques Street Fair is now in its 27th year and can really lay claim to being the first of this kind of fair. Attracting around 100 dealers from across the region it is always held on the August Bank Holiday Sunday, this year that is 25th August. This is another free event and like Bungay is disabled, child and dog friendly.